A 28-year-old North York man and a 35-year-old Brantford woman are facing drug-trafficking charges. A man and woman are facing drug and weapons charges say police, after a struggle with officers in Brantford revealed a loaded handgun, a bag with cocaine and $11,000-worth of fentanyl. Police say they pulled over a vehicle seen driving without its lights on near the corner of Colborne and Rawdon Streets around 2 a.m. Saturday and found the male passenger was wanted on two outstanding warrants. The man struggled with officers when they tried to arrest him, say police, who discovered he had a loaded 9mm handgun and large amount of cash on him. While officers wrestled with the man police say the woman driving the vehicle tried to flee with a bag. Inside the bag investigators say they found drug paraphernalia, suspected cocaine worth $320 and $11,000 of fentanyl. 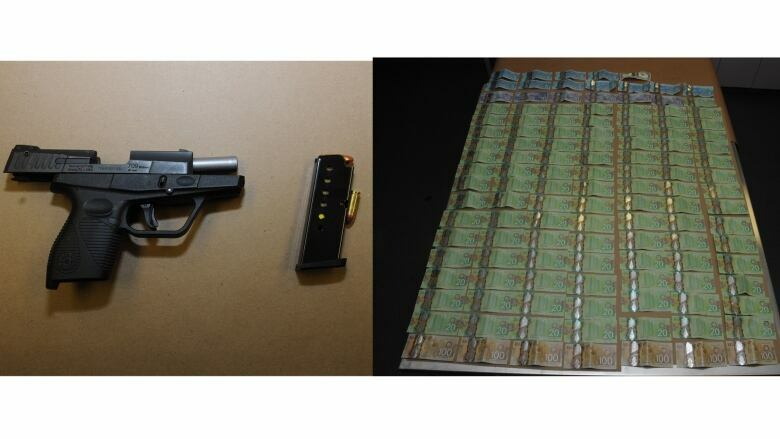 A 28-year-old man from North York faces a long list of charges including unauthorized possession of a firearm, careless storage of a firearm and carrying a concealed weapon. He's also charged with possession of fentanyl and cocaine for the purpose of trafficking. A 35-year-old Brantford woman is also charged with possession of fentanyl and cocaine for the purpose of trafficking, along with obstructing police.